Staying organized is a daily struggle for a lot of artists. The irony here is that with a little daily maintenance, having an organized art business can save you a ton of stress and elevate your career. A the end of the day, being organized is what helps you get paid on time, gets you bigger opportunities and lets you present yourself with ease and professionalism. You should be spending less time searching for files, formatting PDFs and combing through endless spreadsheets. That’s why we made it as easy as possible to privately store all the critical information alongside powerful tools to share your artwork and run your art business. If you have just 15 minutes a day, you could be on your way to a stress-free and organized career. Here are 8 activities that take less time than it takes searching through your desktop file folders that will leave you feeling organized and on top of your business. You know that pile of business cards on your desk that you have been meaning to follow up with for the past oh, year or more? We can’t be the only ones. Take a few minutes to enter that information into Artwork Archive’s contact management system. That way, you don’t ever have to worry about scrambling to find their card amongst the shuffle when you need to contact them. Plus, having all the contact details of your art collectors, gallery owners, interior designers, museum curators, and art fair directors all in one place makes it a breeze when you want to send out an exhibition announcement. Once a contact card is created, you can send them images of your artwork, updates, price lists and more with the click of a button. Plus, easily export their contact information into formatted address labels if you want to take it up a notch and send out personalized cards. We find that it’s best to photograph work in small batches. If you have an established spot in your studio or house with great natural lighting, it’s easiest if you can leave the photobooth up year-round. That way, you can take a few minutes away from creating to snap a few shots of your artwork. We all know artists are visual creatives and it is so important to have a visual reminder of your work. It may be tempting to just get your work out the door and cash your check, but remember that your photographs will live on and serve as a record of your artistic legacy. You can upload up to 20 images at a time into your Artwork Archive account. Plus, you can store the original image file (up to 30 MB) as well as smaller image files. The time you take to take high-quality photos will serve you well when you print out a beautiful portfolio page or inventory sheet to send to interested art collectors, buyers, and galleries. Organize your Artist statements, CV, Bio, Press etc. You know the distinct pain of having to write your artist statement? Don’t make it harder on yourself by having to do it twice. Store every version of your statement, bio and CV on the cloud so you can easily archive your early versions or send off the correct version of your bio to your new gallery. Have you ever had a gallery request your bio or artist statement, only to waste time shuffling through a mess of folders on your desktop, unable to find your latest version? With business folders mixed in with all of your personal information that it’s hard to know what’s what. Keep your art-related documents in one place so you can access files and notes no matter where you are—on your laptop or smartphone. On another day, sort through all the press you have received and either screenshot or take a photo of the coverage. Then, upload your press into My Docs, so you start building a library of press articles and building your credibility. The perfect activity over a cup of coffee? Organizing your artwork into collections. Group your work into collections by type, subject matter, or genre to easily find, categorize and send to interest buyers. Have a collector who is interested in seascapes? No problem. Since you already made a collection of all your seascapes, you can easily send them what you have available and get one step closer to that sale. You are going places and so is your artwork. Keep track of the comings and goings of your artwork by taking 15 minutes out of your week to record your upcoming exhibitions. By entering the information into the Shows feature, you instantly create reminders for your drop-off dates and pick-up dates in your Schedule as well as start to build the provenance of your artwork. Taking a few minutes out of your week to record your upcoming shows and gallery obligations will also help make sure you never double-book (or worse, double-sell) an artwork and have to be in the awkward position of trying to explain yourself out of the situation. As if that wasn’t enough, easily generate pre-formatted PDF consignment reports and gallery labels to send along with your artwork, so you don’t waste time making them by hand each time. This is one you probably don’t forget too often. However, make sure all your outstanding invoices are paid up. Don’t leave money on the table. Each Friday, go through your sales records and make sure everyone is squared up. If they aren’t, send them a friendly reminder with your invoice. Better bookkeeping helps you get paid faster and stay professional. Plus, it helps keep stress to a minimum during tax season. Invoicing through Artwork Archive allows you to provide a professional experience for your clients and keep the sales records neatly stored for when you need them. Since you have freed up hundreds of hours of your time by not having to create price lists and catalogs by hand, you now have more time to send your work to potential buyers! With your high-quality photos already uploaded and the information recorded, you are ready to generate custom inventory reports. Want to send a West Coast gallery all your Plein Air paintings created in the desert from 2009-2011? A Miami gallery a report on sculptures using neon? Make sure to follow gallery protocol, of course, but take 15 minutes out of your week to reach out to potential new clients. And, be prepared with professional reports and information on hand when they are interested! 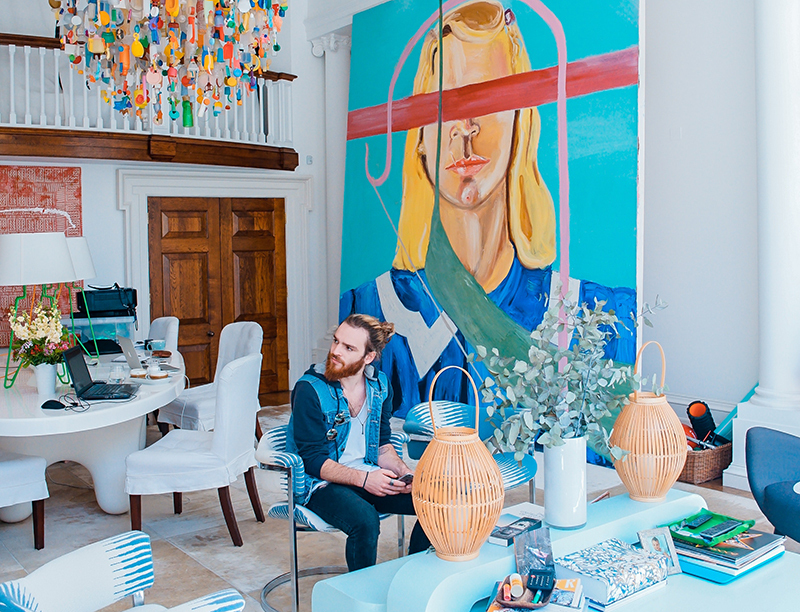 Having an up-to-date online presence lets potential buyers know that you’re active in your art practice and makes it easier to connect with collectors. If your website is outdated or hard to navigate, it also reflects on your abilities, the quality of your work, and even your assumed success as an artist. That’s why taking a few minutes a week to update the News section of your public profile keeps you and your art relevant and top of mind. Plus, how can anyone know what you are up to if you don’t tell them. Don’t be shy about your accomplishments. Update your audience about your upcoming exhibition dates, career news, events and more. By staying on top of your income and expenses, only then can you get an accurate picture of your art business. And it only takes minutes to go over those old receipts and enter them in Artwork Archive! With our Expense Tracking feature, you’ll know where all of your sources of income are generated, where your money is going, and what you can write off. More than that, you can tie your expense records to a client within the database, gain insight into how much you are spending in certain categories (advertising, supplies, rent, etc. ), and get one-click expense reports. Learn more here. Once they are recorded in Artwork Archive, you can easily export them to Quickbooks or any other accounting software. Talk about a time-saver! 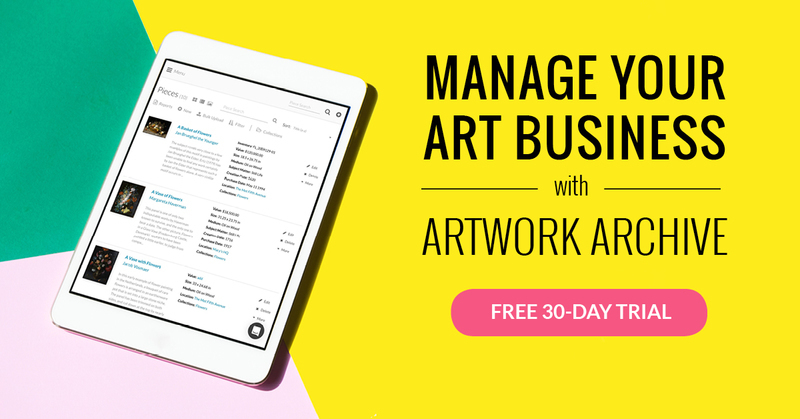 The easiest way to stay organized in your art career? Artwork Archive makes it easy to manage your career, track and archive your artwork privately and streamline your sharing process, so you can grow your career and stay organized. Making art is not a solo act. You need an art squad. Here is who should be on it. Fund your art business dreams. Check out 5 Kickstarter success stories and how to follow in their footsteps. How to create a print catalog that will add value to your art career and leave a lasting impression.